Frankie Cosmos, the project of Greta Kline, along with her backing band, have announced a new digital-only series, Haunted Items, where she will release new songs each week for the next month. Kline has shared its first two tracks: "Dancing" and "Tunnel." Haunted Items will feature new stripped down songs written for the piano. Check out "Dancing" and "Tunnel" below, followed by the schedule for all the songs and Frankie Cosmos' upcoming tour dates. Kline had this to say about the project in a press release: "Items themselves are harmless unless they are infused with some kind of energy. These items are haunted by fear, consumerism, commitment, love, loss, the list goes on...I had some of these songs stuck inside me, mostly because I wrote a lot of them for piano and didn't know how to record them, even as demos. My friend Elia gifted me with 10 hours of recording time with Mark Yoshizumi, and this winter felt like the perfect opportunity to get these out of my system and haunt you with them instead. I have always been afraid of items being haunted, but when you think about it, every item is, right?" Frankie Cosmos released their last album album, Vessel, back in March 2018 via Sub Pop, the band's first for the iconic Seattle label. 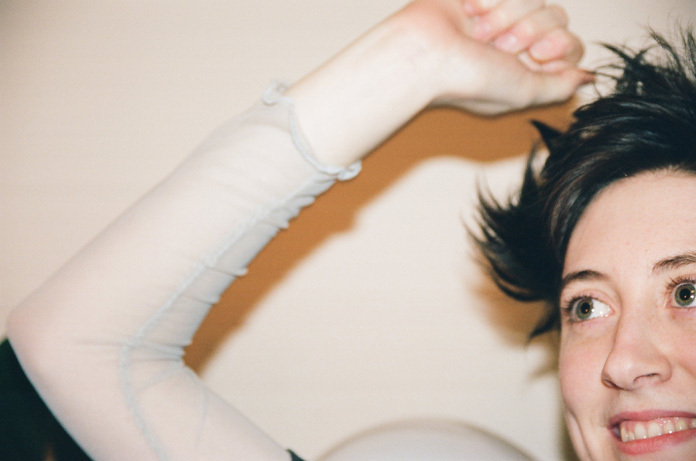 Read our 2018 interview with Frankie Cosmos on Vessel. Also read our 2016 interview with Frankie Cosmos.